It was August, 1992, and I was living on H&H bagels and working my dream job as a summer intern in the marketing department of Random House. In the August heat, I was more concerned with catching the bus down Lexington Avenue than I was with the possibility that the publishing industry was about to undergo another great wave of consolidation. That month I reported to the energetic Carl Lennertz, now the executive director of World Book Night in the U.S. Carl was the marketing manager for the Knopf and Pantheon imprints. One of the books in his charge was James Gleick's Genius: The Life and Science of Richard Feynman which would be published a few weeks hence. Somehow, in his dusty office stacked with a thousand books and a great many empty wine bottles, he hit upon the idea of exploring the earliest online gathering places. At the time, very few people had even heard of Compuserve, Delphi, or the earliest version of America Online. It would be a few years before AOL became infamous for direct mailing the latest version of their software as frequently as copies of the Pottery Barn catalog arrived. To gain access then, one needed a floppy disc, and these could be found in computer magazines like PC and PC World. Carl handed me his corporate credit card and a few of these discs. “Why don’t you see what you can do,” he said. Stumbling through text-only message boards, I found a few which were pitched at the discussion of science. To the readers there I offered a glossy, paperback excerpt of the book to anyone who would leave us his home address in the forum. I posted this offer, and then made careful notes so that I could find my way back to the geeky depths where the forum lived. There was no bookmarking. There was no browser, and no search engine. Finding ones online tribe in 1992 required an affinity for old school modems, and a bit of determination. But many of the forumgoers were upset. “How dare you commercialize this place!” they howled. There were more bitter voices than words of encouragement. It was enough to give a 20 year old intern pause. Had I done something wrong? But I’m only offering a gift! 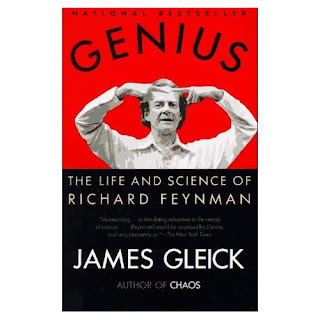 I emailed Mr. James Gleick himself recently to let him know that I thought Genius was the first book to ever receive online promotion. “Why didn't I know about this at the time?” he asked. Well, sir, your 20 year old intern had no idea that she had just been the first to utilize the medium which would come to dominate book promotion. The Steve Jobses of the world may have known exactly what they were doing at those moments of innovation, but some of us are the Forrest Gumps of history, coming by accident upon the next great thing. Those days are over, and apparently I helped in some small way to ruin them. The online book giveaway has gone mainstream. As I write this there are over 1,500 titles up for grabs to the lucky contestants at Goodreads. Though word of mouth feels as elusive as ever, twenty years of technological improvements have made finding those target readers at least a little bit easier. But even if those readers are easier than ever to find, our methods of suasion have little changed. Authors and their publicists daily walk the same line, attempting to gain exposure for their own works without irritating the other members of their shinier, more navigable online tribes. The more technology changes, the more the central problem—urging readers towards the check-out—stays the same. Oh — and if by chance I've erred in claiming this prize—if some other intern happened to promote a title online previous to that sweaty summer of August, 1992, I humbly apologize. In fact, I'll happily hand over the trophy. But please understand that it will arrive by .pdf file. Padded envelopes are for dinosaurs.